Where can you find the ultimate combination of food and fun for toddlers through grandparents? The largest cruise ship in the world of course! Multigenerational travel is one of the hottest family travel trends. 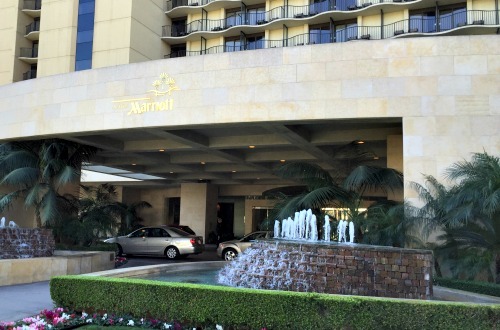 Grandparents traveling with their kids and grandkids brings a whole new dynamic to vacations. Choosing the right location or type of trip is essential to its success. We often travel with either my mom or dad. One of our favorite trips was a multigenerational trip to San Francisco a few years ago. We also love a good Disney trip with grandparents too. However, I believe a cruise might be the best multigenerational trip option. Why is a cruise the best multigenerational option? Cruises can offer a wide variety of entertainment and food options all while exploring different ports. Plus once aboard the ship, transportation issues that may arise with young kids or large groups go away. I think most cruise ships would offer similar benefits for a multigenerational trip. But you’d rather cruise on the best ship, right? I think Royal Caribbean Symphony of the Seas is the best cruise ship for a multigenerational adventure. The largest cruise ship in the world naturally has lots of activities, shows, and food options. There are enough choices to please toddlers to grandparents and everyone in between. 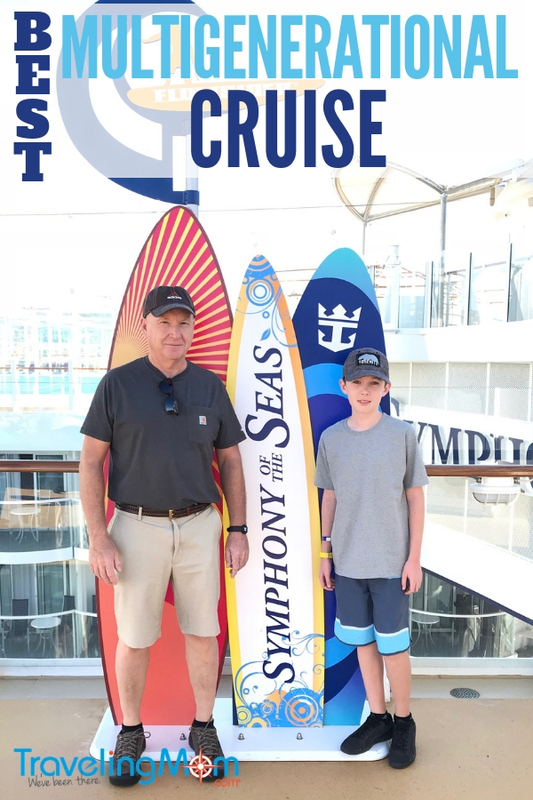 I spent a week on Royal Caribbean’s Symphony of the Sea with my dad and son. It was a special trip because it allowed some great one on one time with my oldest son and my dad. 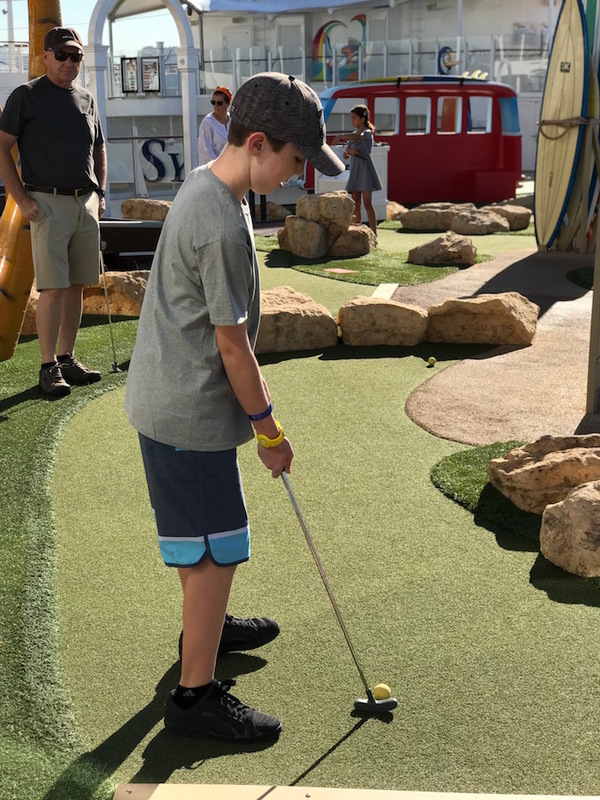 We found lots of tween-friendly activities on the Symphony of the Seas. Some of them were also grandpa friendly as well. Their favorites were mini golf and playing table tennis. We even got my dad to slide down the tallest slide at sea, the Ultimate Abyss, and play a game of laser tag. There were plenty of relaxing things to do together as well. Playing cribbage or watching a movie in our room. Watching the shoreline or port activity from our cabin balcony. Or playing at one of the two arcades onboard. 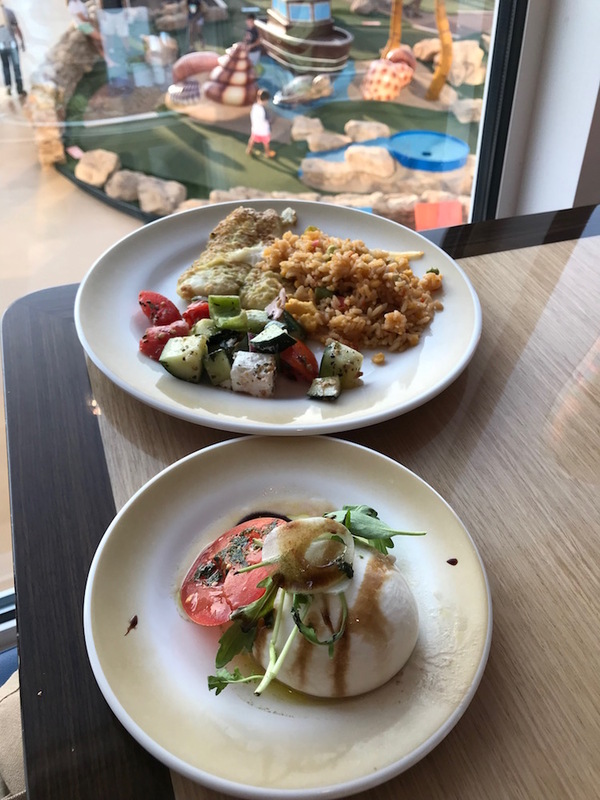 If you are looking for a little adult time on the ship, you can easily drop your kids off at the kids club and head to the spa, casino or anything else that you’d like to do sans kids. 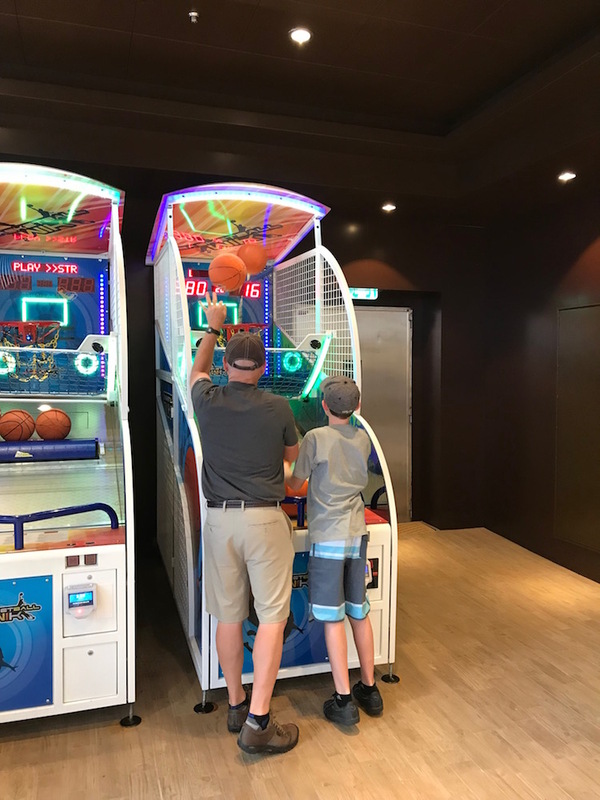 What surprised me the most about our cruise was how much both my dad and son enjoyed the shows on the Symphony of the Seas. Flight: Dare to Dream is an exclusive Broadway-style show that I really wanted to check out. I felt like we should try and experience everything we could even if it was atypical for us. The show was really great and all three of us enjoyed it. Since my son hadn’t really seen a show like this before and he isn’t into musicals, I thought he might have a hard time sitting through it. Happily, I was wrong. After the first couple scenes, he told me it was the most bizarre thing he’d ever seen, which made me laugh. It was a new experience for him and he wasn’t sure what to make of it. At the end of the show, he told me he loved it. Honestly, I wasn’t surprised; I found it super entertaining with key milestones of air travel set to fun music. I can’t wait to take him to another Broadway-style show. We also saw Hiro, a water acrobatic show. It held everyone’s attention with action in the water and air. There was also a special one-night performance of a magician in the Royal Theater. His performance was fun and we were wowed by his tricks. My only regret was missing a couple of other shows during our trip. Each show is only scheduled a few times during the cruise, so we missed the musical Hairspray and two performances on ice, iSkate 2.0 and 1977. 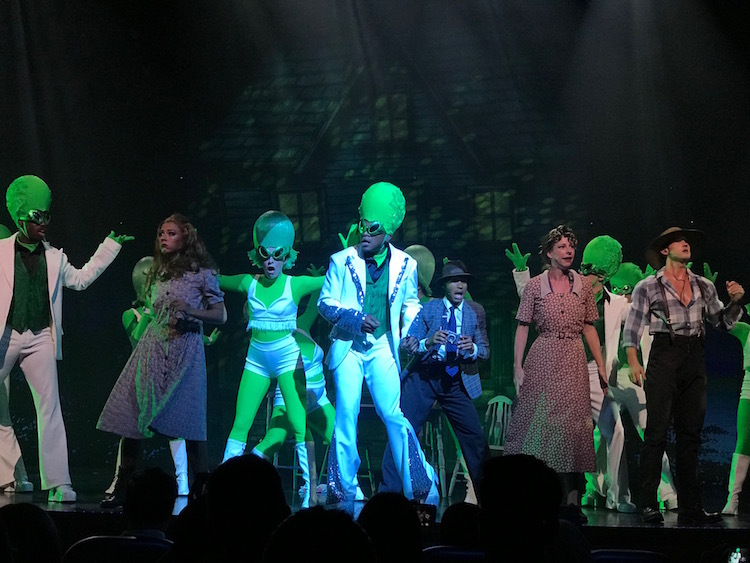 Traveling Mom Tip: Make show reservations before your cruise or in the very least, check out the show schedule on Day 1 of your cruise so you can prioritize which performances you want to see. Our Symphony of the Seas cruise was on the Mediterranean (which I loved), but the ship is headed to a new route in the Caribbean. So our Mediterranean ports will not necessarily be relevant to future guests aboard the Symphony of the Seas. 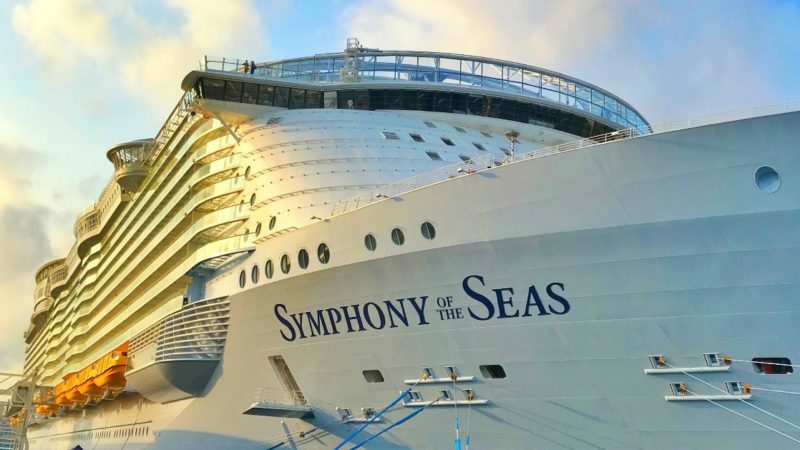 That being said, I still want to share our experience because the ship could return to the Mediterranean, or you could choose to take a Mediterranean cruise on one of its sister ships, like Royal Caribbean’s Oasis of the Seas. 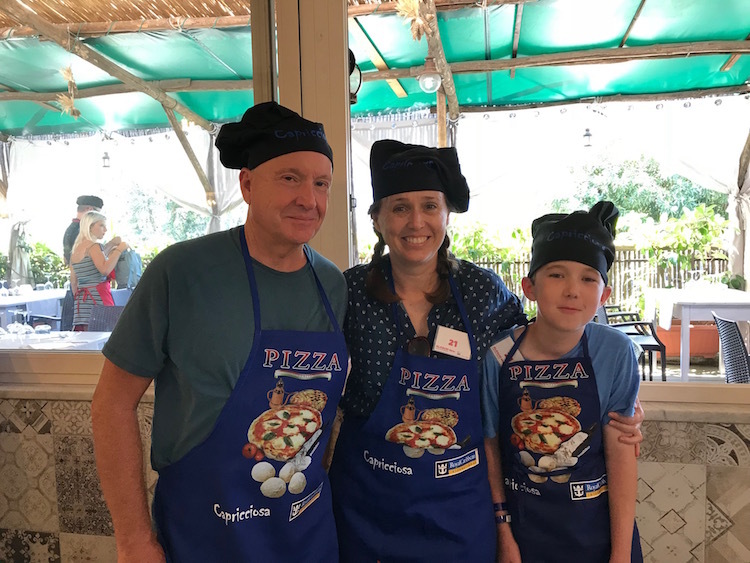 Our favorite excursion was in Naples, followed closely by our stop in Rome. In Naples, we visited Pompeii in the morning then spent the afternoon in Sorrento, Italy. We learned how to make pizza, then ate our own pie while watching a performance of a pizza acrobatics champion. We then had a little time to walk through Sorrento, check out the view of Naples Bay and do a little shopping. In Rome, we went to Gladiator School before exploring some famous city sites. Gladiator School consisted of weapons training, a gladiator battle reenactment by members of a Roman historical society in costume and learning about gladiator history and artifacts. 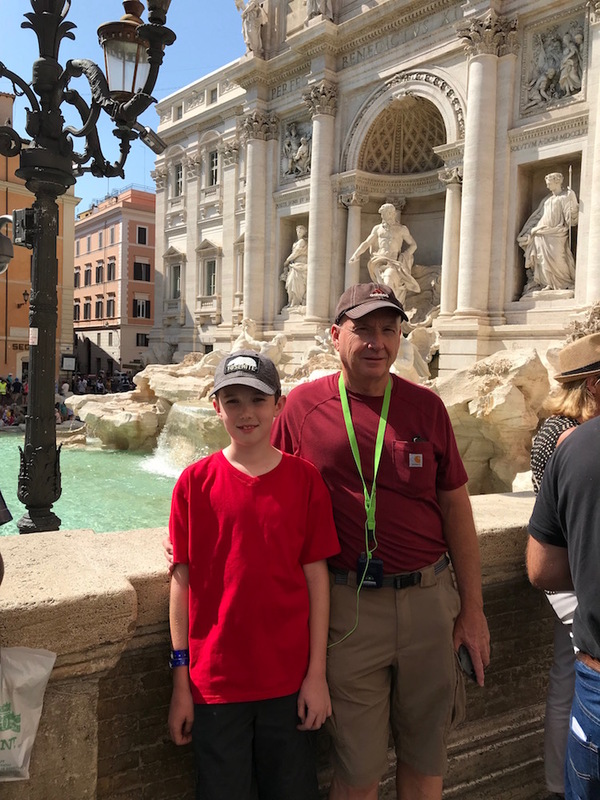 After lunch, we took a walking tour of the city which included seeing the Colosseum, Trevi Fountain, and the Pantheon. Food can be problematic when traveling with extended family. Little kids tend to like simpler food while some adults have a more elaborate palate and like to take their time while dining. 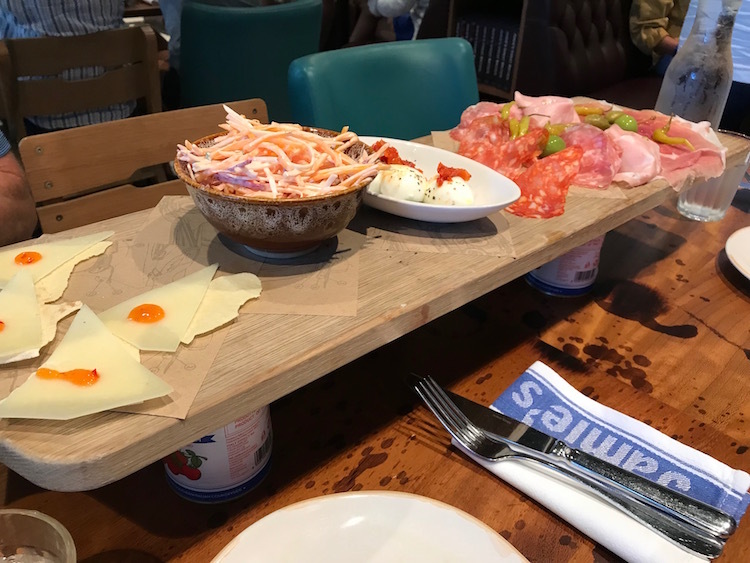 The Symphony of the Seas offers over 20 different dining locations from grab and go options to full service and specialty restaurants, everyone will find something they like to eat. Plus you can eat somewhere different for every meal or stick with your favorite place each day. Looking for more cruising with family tips? Check out this guide of the Allure of the Seas cruise ship and why multigenerational cruising is the best. A Kid-Free Disney Cruise? Yes!